All their rich color and detail are visible, without glass and glare. The “float mount” suspends them off the wall, creating a subtle emphasis. The magnetic mount makes it easy to change images where space is limited. 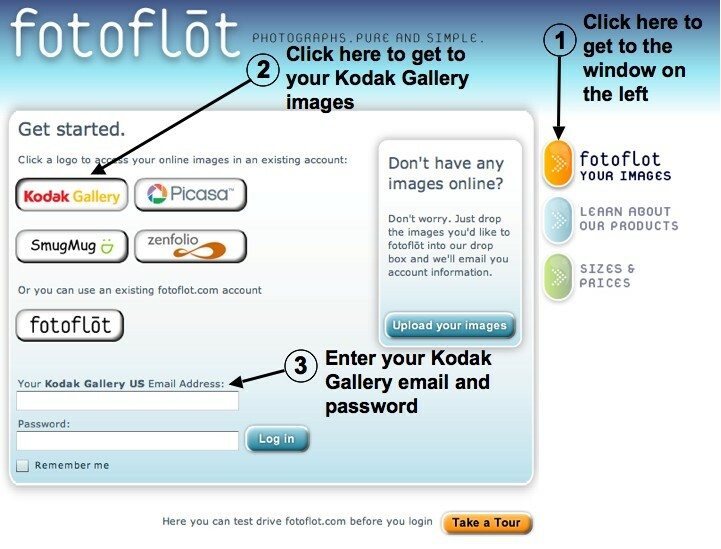 Simply login page on fotoflot.com and use your KODAK Gallery credentials to log in. Your email address associated with the KODAK Gallery account plus password give immediate access to all your albums and images on KODAK Gallery. Once you log in with your KODAK Gallery credentials, you’ll see your albums and images. Pick a photo and flōt it!